"Achingly honest" and forming "a heartfelt connection to the audience"
RikTheMost (aka Rikki Livermore) is a poet constantly seeking understanding; intrigued by the psychology of choice, emotion, motivation, interaction and reaction. They enjoy taking inspiration from the, both, amazing and horrifying aspects of humanity to create works that question and deeply explore the world in which we live. 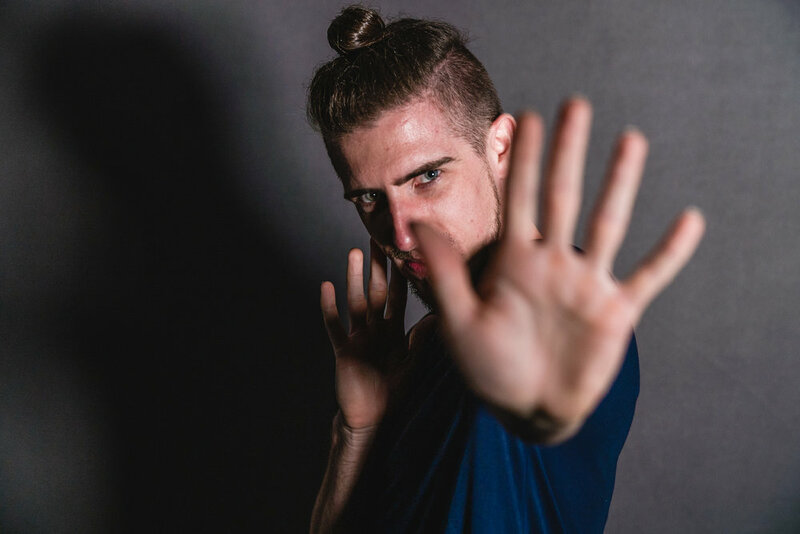 Having just finished a year touring Australia, and recently returned from America, representing as part of the first ever Australian slam team to compete in the Nation Poetry Slam Team Finals, Rik is now setting up performances all over New Zealand, so catch them if you can! It is worth noting that Rik does not mean: "the best". People (especially children) are constantly being told and telling others to do their best, but this is such a mammoth task in comprehension, let alone physical completion! "Best" is so very stigmatised, sounding so unachievable and competitive: like if someone else is the best then what does that leave you? And if you achieve "the best", then what? It feels so solid and set! Whereas, "the most" is much more personal, much more fluid, much more understanding of the undulations and curveballs of life; it is changeable, as are we - it probably won't be the same each time you see it. "The most" is respecting your opinion as valid but open to being wrong and changing your mind, "the most" is sometimes depressed and struggling but breathing and seeing that for the achievement it is, "the most" is seeing its limitations and speaking with them; asking the questions it needs to by questioning its needs. Rik aims to give their "most" in every moment they are involved in, even when they aren't "the best" at it... and that's pretty darn special!